In recent years, remote patient monitoring (RPM) programs and pilots have become more pervasive and implemented at scale, as their efficacy in improving outcomes, adherence, and cost reductions is demonstrated. Remote care provides a program alternative to patients with chronic conditions who may have been unsuccessful in rigorous or constraining in-person treatment plans or have struggled with adherence in the past. This form of care offers new opportunities to providers and healthcare organizations looking for ways to take advantage of existing technologies while improving outcomes and cutting costs. Many patients experience difficulty in managing and taking control of his or her health, especially when their actions and vitals readings outside of the doctor’s office can largely go unknown or unseen by the doctor. Notably, 78% of healthcare consumers wear or are willing to wear technology to track their lifestyle and/or vital signs — demonstrating that while many are interested in engaging in their health, they lack the option to do so. RPM programs offer an opportunity for these patients to become more educated and engaged in their healthcare, which can encourage lifestyle changes and result in better outcomes. In an effort to understand the complexities and opportunities associated with integrating patient-generated health data (PGHD) into clinical workflows, Accenture Federal Services and the Office of the National Coordinator for Health IT (ONC) selected Validic and a West Coast health system for a pilot demonstration focused on providing remote care and interventions. 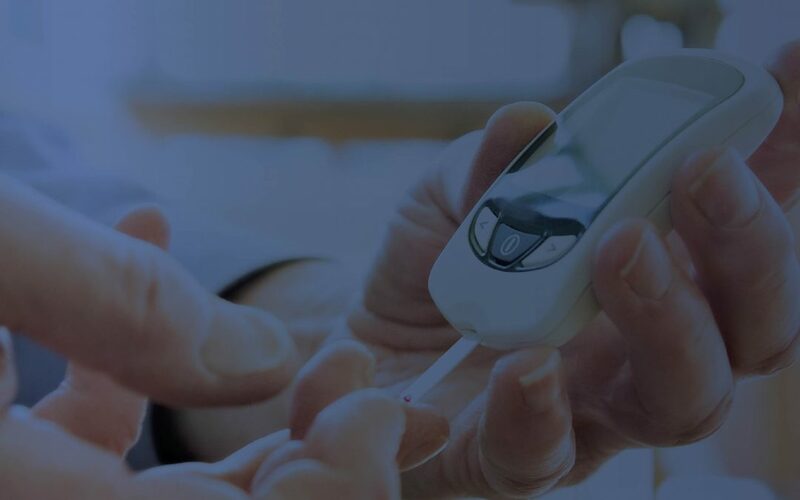 Using in-home and wearable health devices, the groups worked to demonstrate the effective use of PGHD to better manage and engage a population of individuals suffering from Type I and Type II diabetes. Preliminary results determined that patients found the use devices and applications in their care program as an enhancement to their quality of life — enabling them to better self-manage their diabetes. Patients also found the remote monitoring program strengthened their relationship with their care team (inclusive of the physician, nurse, and nutritionist) and eased the burden on them to manually record readings and attend weekly in-person visits. In fact, patients asked to donate more data as part of the study. Additionally, patients were able to lower their a1c levels – some for the first time in years. One such patient, Steve, struggled with managing his diabetes when he was diagnosed at age 40. After failing to see results from other treatment plans, and with a desire to take control of his health, he became a part of this remote monitoring pilot. When Steve was diagnosed with Type II diabetes at age 40, like his father, uncle, and grandfather before him, he was struggling to manage his weight and overall health. After his diagnosis, Steve continued to struggle. He struggled to maintain a healthy weight despite working out and leading an active lifestyle; he struggled with his a1c levels despite a managed diet and nutrition program; he struggled to feel in control of his condition and overall health. Because of this, Steve required frequent office visits with his endocrinologist. He was dedicated to getting better; so much so, that he would fax a copy of his glucose readings – which he kept in an excel file – to his doctor ahead of each visit. But, with no clinical protocol or system in place to manage Steve’s data, the endocrinologist would promptly disregard Steve’s readings. This led Steve to join this particular program of care. Because this program, unlike any Steve had been a part of before, leveraged his everyday data to manage his everyday condition. The program required Steve to take blood glucose readings at least three times a day, usually around meals. As part of the program, Steve’s data were collected via his program-issued application. This included his weight scale, a legacy blood glucose meter, an activity tracker, and a blood pressure monitor (to help monitor the effect of the program on his kidney function). Continuous monitoring revealed an overlooked daily snacking habit that affected condition management. While watching television with his kids each night, Steve would snack; the couple handfuls of chips or popcorn each night was causing a consistent spike in Steve’s blood sugar before bed. Steve’s care manager noticed the trend and informed him on how to amend his diet and actions. As a result of using real-time PGHD, a previously unidentified problem was easily spotted and the patient was able to adjust his lifestyle to achieve his target HbA1c. Today, Steve is down 50 pounds and has lowered his a1c by 1.5 points. Additionally, after several weeks and showing success in managing his weight and condition, Steve’s physician amended the in-office visits to once every three months. She, along with the care team, continued to manage his care and condition providing personal support and accountability remotely throughout the duration of this pilot. As more stories each day — like that of Steve — are showing the impact of remote monitoring on patient outcomes, engagement, and satisfaction, it is becoming evident that remote monitoring is a viable solution for chronic condition management that not only improves outcomes but can also offer additional benefits, such as reduced hospital readmissions and cost savings. By integrating care action into the home, whether that be via telemonitoring, wearables, home-health clinical devices, or a number of other technologies available today, organizations can take steps to activate patients in their own health and reduce healthcare costs for patients and organizations. As the shift toward home health continues to grow, providers have an opportunity to integrate digital health tools into treatment plans and remote monitoring to help manage patients with chronic conditions, provide proactive care, and lower costs.